Acupuncture and Homeopathy in Liverpool Street & Moorgate (City of London), Rickmansworth & Watford (Hertfordshire). I’m Shaila, Acupuncturist and Homeopath. Welcome to a completely natural and tailored way to stay in good health. I have over 10 years of experience helping patients all over London and Hertfordshire with a unique blend of Acupuncture, Traditional Chinese Medicine and Homeopathy. I specialise in helping infertility, cosmetic acupuncture, pain relief, treating stress and anxiety. I qualified with a degree from Beijing University for Acupuncture and Traditional Chinese Medicine. I also hold a BSc degree in Homeopathy, Post Graduate diplomas in Fertility Acupuncture and Cosmetic Acupuncture. I regularly attend numerous post graduate, advanced and professional development courses. I specialise in using Acupuncture to help couples conceive both naturally and with IVF assistance. The British Medical Journal states that Women who use infertility Acupuncture with IVF have a 65% increased chance of a successful conception. Acupuncture is medically proven to reduce and treat all types of pain – both acute and chronic. As an acupuncturist, it is very rewarding to bring immediate relief to those of my patients suffering pain. Acupuncture is wonderful for treating musco-skeletal pain as well as nerve pain. 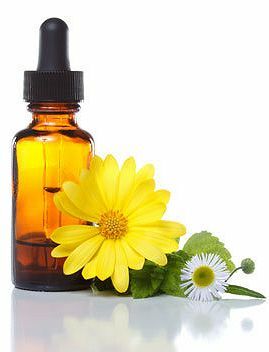 Homeopathy uses natural plant, herb and mineral extracts to stimulate the bodies own healing responses and works at a very deep level to cure from within rather then suppress. Homeopathy works at the physical level and just as importantly, at a mental and emotional level. Homeopathy looks at the effect of ones emotional state and sees the effect this has on the general health. It is then used to address both sides of our being. Therefore it is highly effective and totally safe. All of us had times where we are stressed and then get a stomach ache or a headache or other physical symptom….Homeopathy understands and treats the deep link between your emotional well being and the physical symptoms you suffer. Infertility & IVF - Infertility acupuncture assisting natural conception and IVF for men and women. Pregnancy - Acupuncture assisting normal pregnancy issues such as morning sickness and exhaustion. Acupuncture is also very good for preparing the body for labour. Post Natally Acupuncture can assist breast feeding, mastitis and post natal depression. Pain and Muscular Skeletal - problems such as arthritis, stiff muscles, back pain, neck pain, shoulder pain and sports injuries. Cosmetic Acupuncture - Tone, lift and rejuvenate your face naturally without fillers, chemicals or Botox. Allergies - such as hayfever and food intolerances . Childhood Illnesses - such as colds, coughs, flu, glue ear, colic, teething and asthma. Hormonal Imbalances - such as PMT, lack of periods, painful or irregular periods and menopause. Digestive Disorders - such as IBS, constipation, diahorrea, food allergies and candida. "Hi Shaila, Good News! I got a positive pregnancy test over the weekend. After only three sessions! I am hugely grateful to you." S.S. Nov 2015. "Thank you for being so kind and wonderful throughout my IVF cycle and keeping me positive. I got the wonderful news this morning that I am pregnant ! I can't thank you enough and will see you next week for some relaxation sessions" M.F. Sept 2015. "Dear Shaila, thank you so much for seeing me over the last few weeks. I have noticed such a big difference to my skin - all those blotchy areas are now so much better and my face feels lovely and toned. " C.H, Mar 2015.
" Just a quick email to express my gratitude for the big improvement with my tummy. The IBS is all but gone and I can't remember the last time I had a cramp. The remedies have really kept everything calm and I can't believe how quickly the Acupuncture you used helped with the pain I was getting all the time." D.S, Sep 2014. The City of London covering Liverpool Street, Bishopsgate, Moorgate, London Wall, EC1, EC2, EC3 and EC4. Park Royal – covering Ealing, Hanger Lane, Chiswick, Acton, Wembley and W3, W4, W5, NW10. Rickmansworth – covering Harrow, Pinner, Northwood, Moor Park, Watford, Chorleywood, Amersham, WD3, WD4 HA6, HA1, HA2, HA3.